Yesterday I shared that for the next 14 days I’m (on day 4 now) giving up caffeine, alcohol, sugar, dairy and gluten. I’m doing Dr. Frank Lipman’s Eleven Eleven Wellness cleanse. This entire week I’m going to be filling you in on the WHY’s to which I’m giving up each item. Tuesday I filled you in on why I gave up caffeine, Wednesday I told you about alcohol, yesterday I told you why I’m givin’ up all the sugar, Now I tell you why I’m omitting the gluten. I LUUUV me some bread, pasta, cookies and oatmeal, wow, I could go on and ON…I love it all! I have to say when I eat all of these things (not ALL at once of course) I feel bloated and have overall a pretty gross feeling in my body. I know, from experience, when I let gluten go from my diet that I feel so much better; lighter, healthier, thinner. 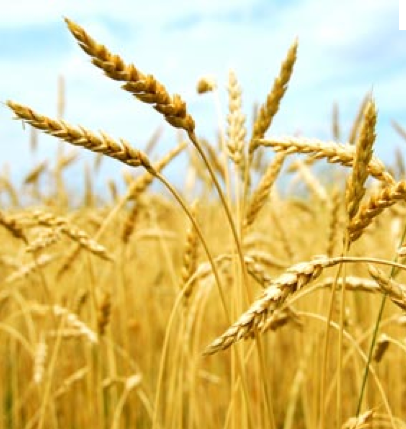 Gluten a protein found in foods processed from wheat and other strains of grain including barley, rye, spelt, kamut, and oats. Gluten gives elasticity and fluffiness to dough, helping it to rise and to keep shape. It’s often the gluten that gives the final product a chewy texture (hence why gluten-free product tend to be denser and heavier feeling). Gluten may also be found in some cosmetics and skin care products. It’s definitely a challenge to steer clear of gluten in our daily diet. The question is if gluten is so prevelant in our society then why are so many effected with gluten intollerence? Ahh, the answer, or part of it anyway, is our lack of genetic adaptation to grasses, and particularly gluten, in our diet. When wheat was introduced into Europe during the Middle Ages it didn’t have nearly as high a gluten content as strains of wheat found in America today. In our Wonder Bread society the gluten is what keeps us coming back for our fluffy bread and ginormous bagels. This super-gluten was recently introduced into our agricultural food supply and now found in nearly all wheat strains in America. Are you convinced yet? If you want to join me in my gluten-free days shoot me a line in the comment section and let me know how you’re doin’! This entry was posted in FIERCE HEALTH, FIERCE- ISH and tagged #gluten, #gluten-free, #glutenfree, #healthworks, #weightlossnow, weightloss by GETFIERCE TRAINING. Bookmark the permalink.